PDH Academy is an approved provider of continuing education for the American Occupational Therapy Association (AOTA). Our approved provider number is #9959. Download or View the Course PDF below next to each course. This is the entire course. If you received one of our booklets in the mail and you are ready to take your final exams online, move to the next step. Purchase each course you would like to receive credit for. You can purchase individual courses or you can purchase a bundle. All final exams must be passed with a score of at least 80%. Take the final exam for each course you purchased by selecting the exam link that was emailed to you in your receipt. The exam online is identical to the exam in the Course PDF or Course Booklet. The following states recognize AOTA Approved Providers: AK, AR, DC, DE, FL, IL, IN, KY, LA, MD, MN, MO, MS, MT, NC, ND, NH, NV, NY, OH, OK, OR, PA, RI, SC, SD, TN, TX, VA, VT and WI. In addition to the states above, our courses meet the requirements for continuing education in the following states: AL, AZ, CA, CO, CT, GA, HI, IA, ID, KS, MA, ME, MI, NE, NJ, UT, WA, WV, WY. Save 40% when you spend $150 or more. Use coupon code PDH40 at checkout. 6 HOUR COURSE BUNDLE Get 2 courses, 6 hours and save $11! 6 HOUR COURSE BUNDLE 2 Get 2 courses, 6 hours and save $11! Are these courses accepted by my state Occupational Therapy Board? We are approved and accepted in many states, but we are not approved in all states. Click here to view the states that approve and accept our courses. Are you an approved continuing education provider for The American Occupational Therapy Association (AOTA)? Yes, PDH Academy is an approved provider of continuing education for AOTA. Our approved provider number is 9959. How do my continuing education hours get reported to my state Board? It is your responsibility to report your continuing education credits to your state Board. If your state Board requires documentation of your completed continuing education, you can send them a copy of your completion certificate. Do you offer any Occupational Therapy continuing education training that is not online or correspondence? We offer online and correspondence continuing education to renew your Occupational Therapy or Occupational Therapy Assistant license. We do not offer any classroom continuing education courses for Occupational Therapists. We find that most students prefer to complete their continuing education online on their computer, smartphone, or tablet – or out of our course booklet. Yes, all students that complete our occupational therapy continuing education courses will receive a certificate of completion. We can either email, mail, or fax the certificate to you. Are your online OT/OTA continuing education courses video? No. Our courses are completed either online or correspondence style. Are your online Occupational Therapy/Occupational Therapy Assistant continuing education courses audio? 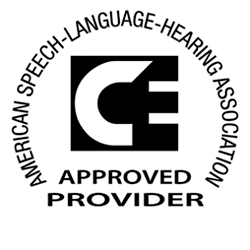 We do not have audio continuing education courses for Occupational Therapists. If I purchase one of our online OT/OTA continuing education course bundles, can I complete one of the courses now, and the rest next renewal period? Yes. Our occupational therapy courses can be completed over multiple license renewal periods. I have my Occupational Therapist / Occupational Therapist Assistant license in multiple states. If I purchase one of your OT/OTA continuing education courses online will the continuing education hours only count for one state or multiple states? Do I need to be a licensed Occupational Therapist to take one of your continuing education courses? No. We have students from different backgrounds take our courses fairly regularly, so if you want to learn more about any of our course topics feel free to enroll right online. I received one of your Occupational Therapy continuing education books in the mail and would like to be removed from your mailing list. How can I accomplish that? If you received one of our continuing education booklets in the mail and would like to be removed from our mailing list feel free to send an email to support@pdhtherapy.com and provide us with your name, address, and what state(s) you are currently a licensed Occupational Therapist. You sent me one of your OT continuing education books in the mail and I already have my continuing education hours. Can I give the book to someone else? Yes. You can feel free to give our occupational therapy continuing education book to a friend or colleague. After I complete my OT continuing education courses, do I send my OT license renewal application to you? No. You will send in your license renewal application to your state licensing board. The license renewal application should have an address on it telling you where to send it or where to renew online. Many state licensing boards will allow you to renew online. What if I still have questions about completing my occupational therapy continuing education courses? No problem. Just call our continuing education specialists at (888)564-9098 or email us at support@pdhtherapy.com.